Today we are excited to bring you our first post at Online Orders Now, the providers of the most profitable restaurant online ordering software on the market since 2006. In today’s post, we are going to take the time to shine the spotlight on our range of products, services, and features, in addition to telling our readers a little bit more about ourselves. Essentially, we want to give you the big picture of what we do at Online Orders Now. By the end of this post, our goal is that you’ll clearly be able to see why our online food ordering system and food ordering app for restaurants are superior in the market. What’s more, our ability to fully integrate with commonly-used restaurant point-of-sale software makes us a business worth restaurant owners’ consideration. But before we get too far ahead of ourselves describing all that we have to offer restaurateurs, allow us a brief explanation as to who we are at Online Orders Now. For over a decade, we’ve been a technological innovator in our field. We introduced many difference-makers in our market, from seamless POS integration to polygonal delivery mapping and a phone number-based ordering. More recently, we’ve continued to be on the frontier of sophistication by offering our customers responsive pages and seamless loyalty integration. These unique pages are able to adapt to each consumer’s device, so customers receive a top-level user experience when visiting your mobile ordering system supported by Online Orders Now. These are just a few examples of how we provide tangible value to our customers and their restaurant-patrons. Our goal is for every client of ours to understand our dedication to providing exceptional levels of customer service first-hand. Whatever our customers need, we want to be the company that finds a solution to meet their unique needs. We want to make the ordering experience as rewarding as possible for consumers. In turn, this leads to bigger tickets, higher volume, and saved time from a managerial perspective. We are confident that utilizing our restaurant software will lead to rapid increases in volume, not too mention lower net costs, greater market penetration, and other benefits which will get to shortly. For now, though, keep in mind that our setup time is usually in the range of two weeks. We’ll do all the work; all you have to do is tell us what you want and we will make it happen. Our restaurant online ordering system has a lot to get excited about. Among its standard features are unlimited transactions, first-time customers emailed, external delivery service, and administration functionality on the backend. Unlimited Transactions – Irrespective of your current or projected monthly transaction volume, you’ll pay the same low monthly rate with Online Orders Now. Whether you have ten orders or 10,000, we don’t think our clients should pay based on volume. First-time Customers Emailed – Another standard feature we are excited to relay is that you can choose to receive an email notification when a new customer orders from your restaurant. If you’d like to offer them a special promotion, we make it easy on you. External Delivery Service (Email/Fax Notification) – If your restaurant is currently using a third-party for deliveries, we can set up an automatic setting for that company to be sent a copy of each delivery order by email or fax. This will close the loop and make sure everyone is on the same page. We are proud to say that Online Orders Now is a full-service product. We’ll do all of the work for you so that you can get back to doing what you do best — managing your restaurant. However, if you would prefer more control and would like to do the work yourself, we offer a full-featured administrative web interface. This means you can make real-time changes like item description, delivery times, business hours, holidays, pricing, and others. And, as always, making these changes is intuitive and straightforward. We take away stress, not add to it! One of the aspects our clients appreciate the most about Online Orders Now is that our food ordering system is completely integrated with many of the most popular POS systems that restaurants utilize. From MicroSale, rPower, Maitre’D 7 & 8 to Aldelo, our restaurant software will seamlessly fit in with what you already have going on. And don’t worry, if your restaurant doesn’t use one of our aforementioned partners, we are still capable of delivering orders to your restaurant through a fax machine or a connected printer. Below you will find our Fully Integrated, Premier POS Partners. A copy of all orders sent to email and admin back up. Internet Fail – We offer unlimited fax backup and text notification if requested. 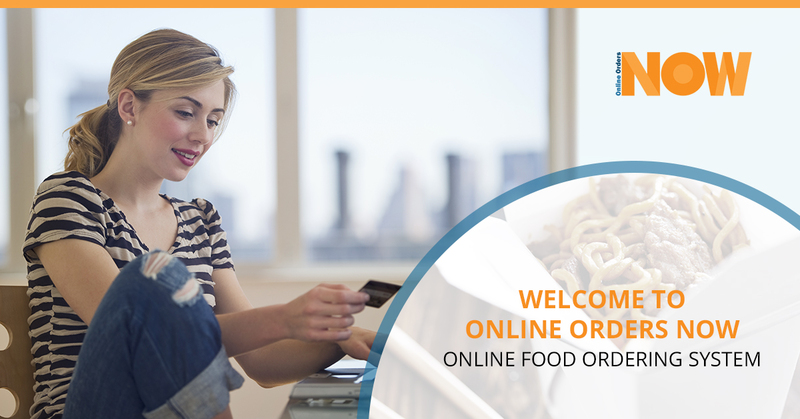 Online Orders Now provides a restaurant ordering software agent uploaded on your POS. This means that all orders are captured by the POS and are sent to automatically print to up to five printers. All credit card orders will be directly sent to your merchant processor while an email copy of the transaction is sent to you for confirmation and record keeping. Our semi-integrated partners offer many of the same benefits as those listed above. If you have questions or would like more detailed information about our partners and resellers, reach out to us and we would be happy to learn more about how we can help your business streamline growth. Now that we’ve got your gears cranking a little bit, allow us to compare our services against the industry standards. Of course, our commitment to customer service is simply unparalleled, but we understand that many businesses will make that claim. All that we can say is that more and more restaurateurs like Michael K (from the testimonial above) are finding that we deliver on all we promise. In sum, Online Orders Now offers the best restaurant ordering system on the market. We are just scratching the surface in terms of our products, services, and many benefits thereof, so be sure you keep an eye out for our future posts in which we will break down each of them. As you can tell from reading the entirety of this post, we offer services that are practical contributors toward increasing your ROI. On top of that, our intuitive products and seamless integration save owners and managers time. We are passionate about being the best in the business at what we do. If you are in need of a trusted, sophisticated restaurant mobile app or online food ordering system, we have a variety of solutions at Online Orders Now. Reach out to us today to get started!